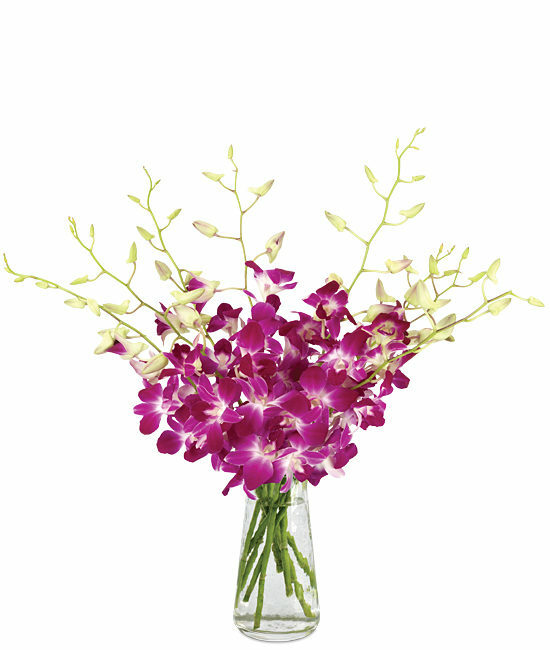 A true statement piece, this ethereal bouquet puts on a mesmerizing show. Reddish purple Bom dendrobiums have the extraordinary power to make people pause in awe. 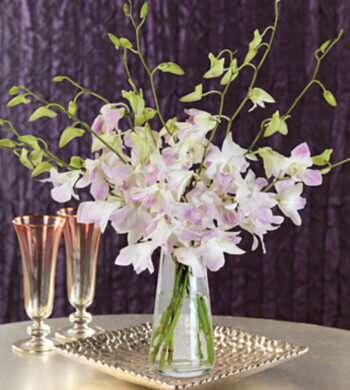 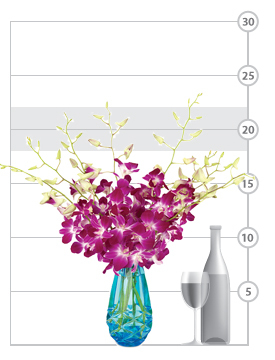 The long-stemmed orchids boast a multitude of blossoms and arrange themselves effortlessly. 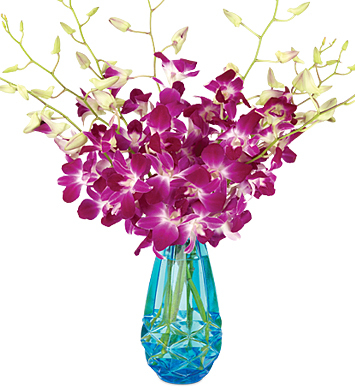 Add our faceted Glacier Blue glass vase and its beauty parallels that of a natural wonder.